Absolute Digital Media Take Home The Award For Best Use Of Search In Finance And Professional Services! CHELMSFORD, UNITED KINGDOM, April 9, 2019 /EINPresswire.com/ -- The Drum Search Awards 2019 have come to a close and the winning line-up have been announced. Full-service digital marketing agency, Absolute Digital Media, secured the very first award of the night for best use of search in the Finance and Professional Services category, as a result of their work with payday loan lender, Uncle Buck. 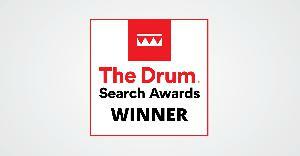 Each year, The Drum Search Awards celebrate the best individuals and companies in the search industry. Judged by a number of leading individuals with plenty of experience in the search industry, including the Head of Global Search Marketing at LEGO Group, Head of SEO at Trainline and the Digital Marketing Director of Misguided. Each application is carefully examined for evidence of strategic thinking, innovation, effectiveness and results in order to determine the finalists, after which the judges will meet to discuss the successful applications in more detail. Absolute Digital Media’s success at these awards showcases their success with Uncle Buck. Since the partnership began, the award-winning agency has compiled, adapted and maintained an innovative and in-depth strategy, designed to enhance Uncle Buck’s position in their industry and showcase them as leaders in personal finance. The strategy saw numerous technical audits and a content marketing strategy both on and off-site, through which the campaign produced some impressive results. With a 105.17% rise in new users, Uncle Buck saw improved ROI and a 76.64% rise in top three positions in Google’s results pages. The strategy even saw Uncle Buck reach position one for two of the industry’s most competitive keywords, payday loans (avg. search volume of 301,000) and same day loans (avg. search volume of 6,600). Absolute Digital Media offer a full range of services to clients on a local and global scale. Their specialisms lie in SEO, PPC, Content Marketing, Social Media, Web Design, Web Development and more, all of which they can combine into fully integrated and innovative strategies for each of their clients. Their current client base consists of household names, including Glyn Hopkin, Longevita, National Childbirth Trust, NCP and other local and worldwide brands. For more information on Absolute Digital Media and the services they can provide, get in touch with the team on 0800 088 6000.